“I was a P.E. major, okay? I don’t even know what Quantitative Economics are,” Caitlyn Jenner joked after reading the laundry list of impressive Point Foundation scholarship recipients and their majors. Jenner was there to present awards to Point Alums Rhys Ernst (a co-producer on Transparent) and Zach Zyskowski (a producer on ABC Family’s Becoming Us as well as Big Brother). 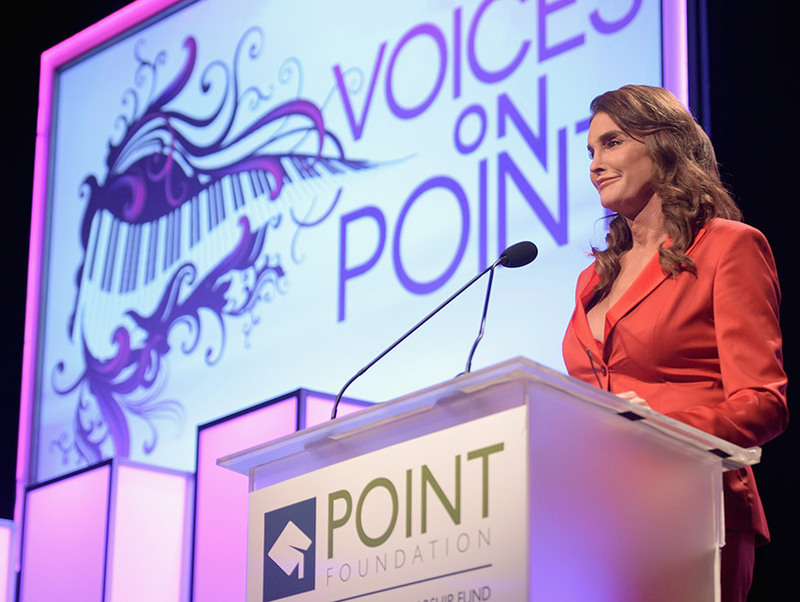 This was Jenner’s second big speaking engagement since the ESPY Awards on July 15. The foundation raised loads of dough for their scholarship program aimed at aiding LGBTQ students of merit between inspiring testimonials from Point scholars and alums, roast chicken, and terrific performances by performers like Sara Ramirez and Joey McIntyre. A little more celebrity wattage included: Louganis, Bradley Whitford, Sherri Saum, Amy Landecker, Gavin Macintosh, and Teri Polo.